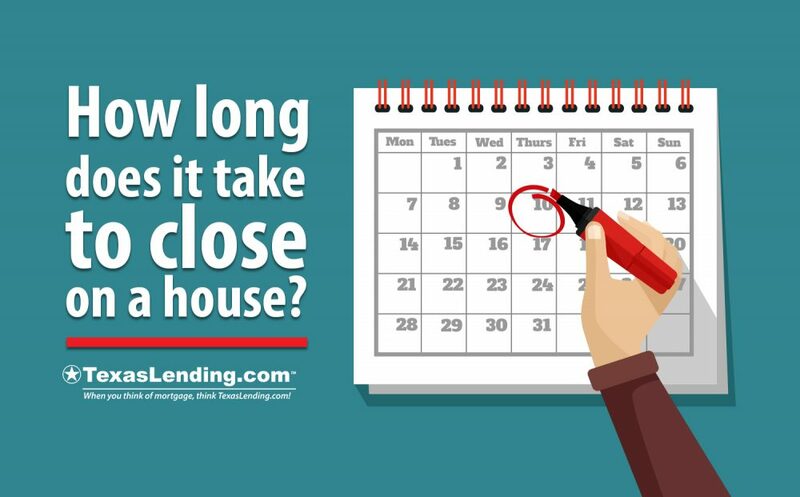 How long does it take to close on a house? This is a common question in the mortgage industry. Many home buyers are looking for answers on what they can expect during the home loan process. The answer to this question, however, depends on a few factors. Consider where you are in the home buying process, what may cause delays, and how you can take action to get to closing on time. Shopping and Making an Offer: How long does it take to close on a house? If you are at the beginning and looking for the right place to get started, get pre approved. Pre approval will save you time later in the mortgage process. Our pre approval process takes less than 48 hours once your application and documentation is submitted. You can read more about the benefits of pre approval in one of our previous blog articles, by clicking here. Once you are pre approved, finding the right home and getting an accepted offer can take time. In a competitive market, it could take a few weeks or months to find your home. This article can help you create a strategy for submitting an attractive offer without going over budget. The Purchase Contract: How long does it take to close on a house? With an accepted offer, you have an official purchase contract. Your contract should be sent to your loan officer as soon as possible to begin the mortgage application. However, the purchase contract its self can cause delays in closing on time. If your contract contains contingencies that involve extensive home repairs, this major delay could cost weeks or months. The seller may also ask for additional time in the home or ask for a quick closing. Issues with the documentation of the property like the appraisal, inspection report, survey, or title have the potential to cause delays. A quality Real Estate professional should be able to help you navigate the details of a purchase contract. Our realtor referral program can get you connected to a top notch realtor in your area and help you earn cash back after closing, learn more here. The Mortgage Process: How long does it take to close on a house? A good rule is to estimate 30-35 days to from application to closing. At TexasLending.com we have closed loans in as few as 15-18 days, when there are no delays. Our goal is to help you meet your closing date and make the process as easy as possible. In a previous blog article we explained the steps in the mortgage process and what you can do during each step. Being engaged with the mortgage process can help you avoid any road blocks that might delay closing. The information in this article will give you some framework in understanding the question; How long does it take to close on a house? We would love to talk to you about your home ownership goals and help you close on time. Reach out to us today to start the conversation.